Siri competitors for Android are a dime a dozen, but the latest alternative Evi may have the winning combination of a voice recognition engine that actually understands what you say and what (we hope) appears to be a natural language processor that can figure out what you want. 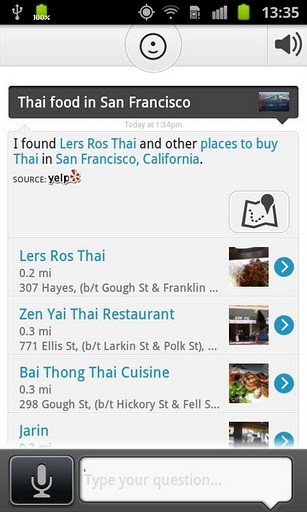 Unlike a standard search engine which performs keyword searches, Evi aims to answer your query with a specific response. 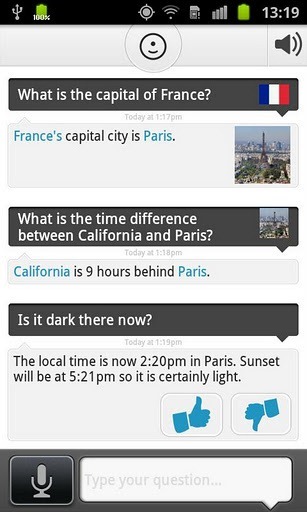 So, for example, if want to know what the capital of France is, you would ask Evi "what is the capital of France?" and Evi would respond "Paris". 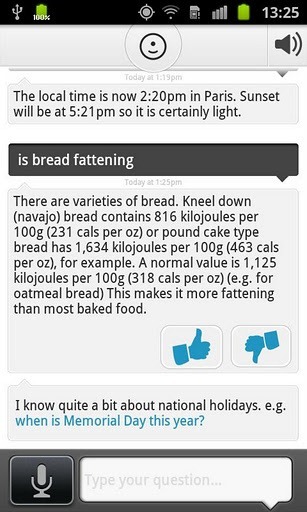 Evi is also good with contextual questions, so if your next question is "is it dark there now? ", Evi would understand that you want to know whether it is past sunset in Paris. 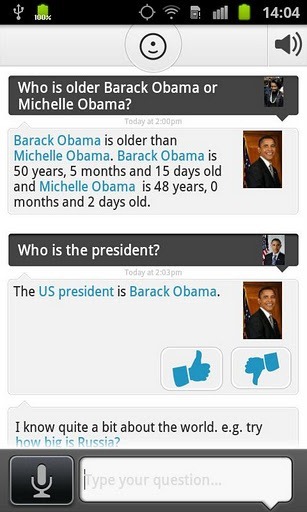 Next, Evi is able to answer comparison questions like "who is older Barack Obama or Michele Obama?". Additionally, it stays on top of current affairs, so you can ask it "who is the president?" and it will give you the correct answer. 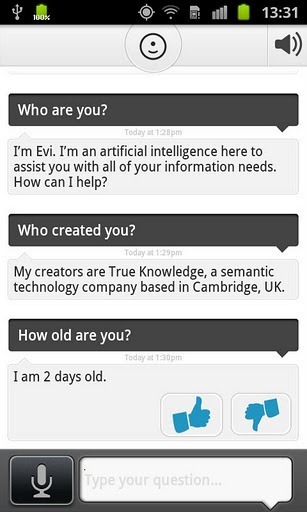 Evi is also aware of its own existence and can answer questions about itself. The biggest problem with Siri is that it works best within the borders of the United States, so Evi might just be the alternative the rest of the world (and Android users) is looking for. Unfortunately, we have been trying all day to get Evi to work and we have had no luck. Although it recognises what we are saying, it is unable to provide an answer since it cannot connect to its servers. Apple experienced similar hiccups when Siri launched and naturally the organisation behind Evi cannot match Apple's scalability, so let's give them the benefit of the doubt and try again tomorrow!